What do you get when you cross performance art with high-energy photography? 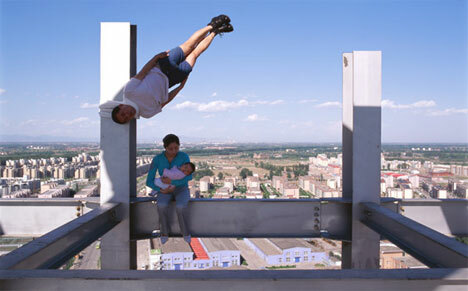 You get the unique and fascinating photography of Denis Darzacq and Liwei. Both time-freezing artists create and then capture unexpected moments in time, leading the viewer to wonder if these images could possibly be real (hint: they are). The two artists operate in slightly different ways. 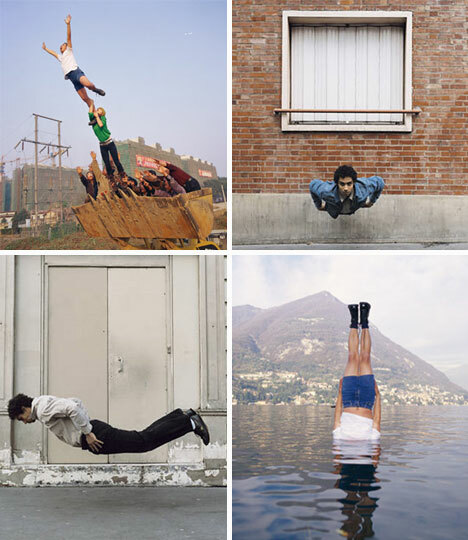 Paris photographer Denis Darzacq‘s photos depict people in mid-fall, mid-jump, or simply mid-air. While the idea of shooting a picture when someone is suspended in mid-air isn’t new, the result of Darzacq’s technique is unexpected. 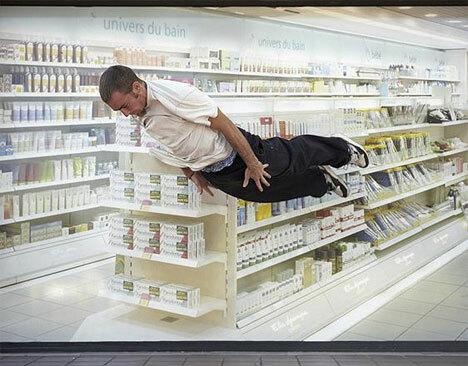 The photos are jarringly realistic, but seemingly impossible. They are so impossibly realistic, in fact, that it doesn’t seem possible for the scenes to have occurred without the intervention of photo manipulation. But by using the talents of energetic dancers, Denis Darzacq creates the amazing scenes without using any digital manipulation.